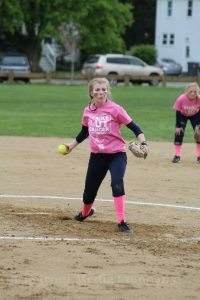 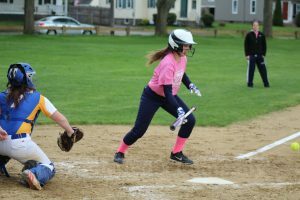 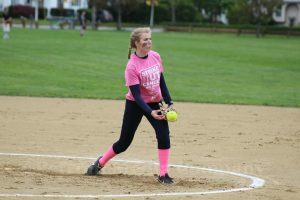 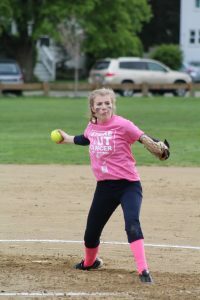 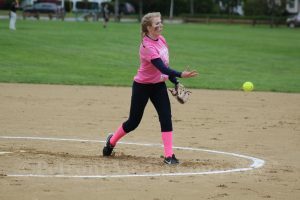 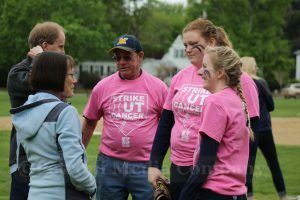 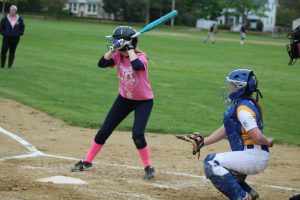 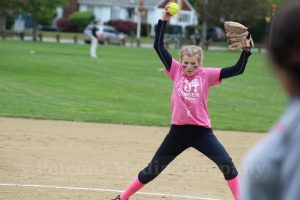 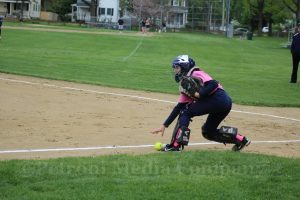 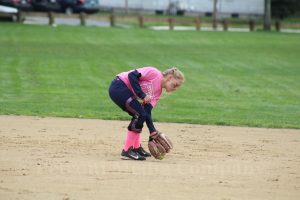 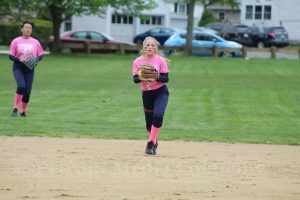 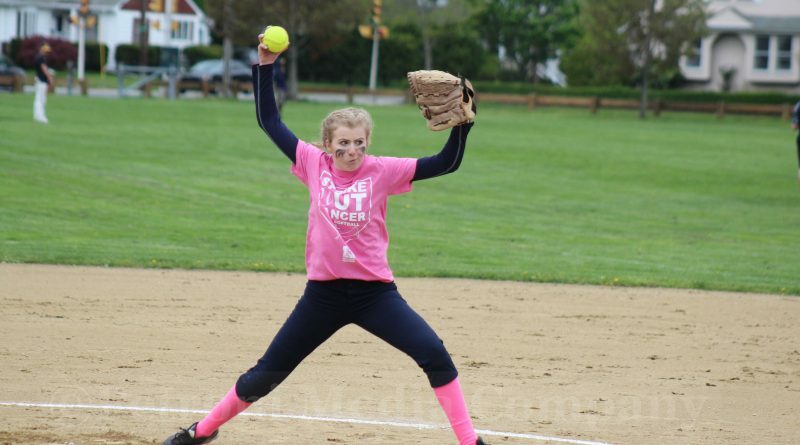 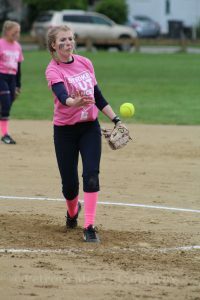 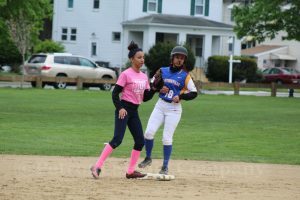 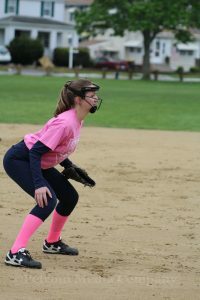 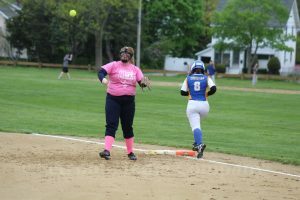 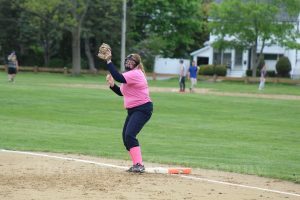 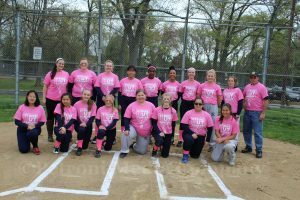 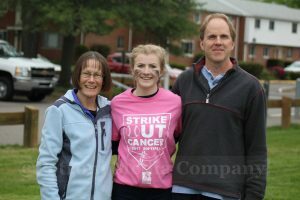 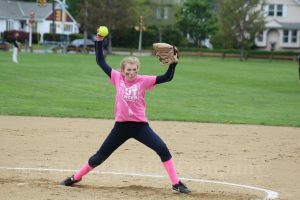 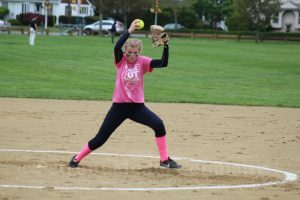 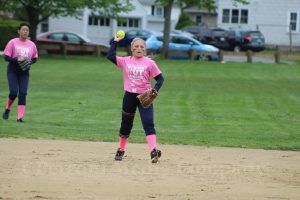 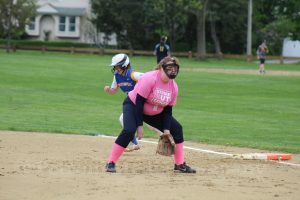 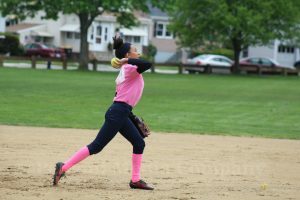 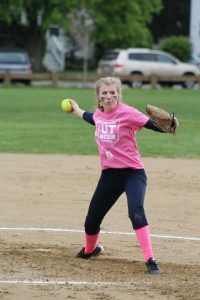 The team wore pink strike out cancer t-shirts in honor of tri-captain Michele Riley’s mom, who has been diagnosed with cancer, said head coach Bill Zompetti. 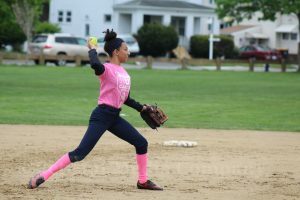 Riley was the starting pitcher on the mound yesterday. 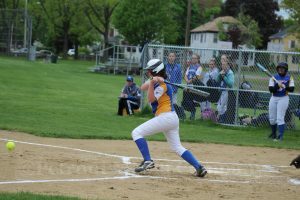 The Mustangs still struggled on the diamond and lost. 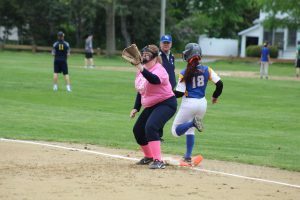 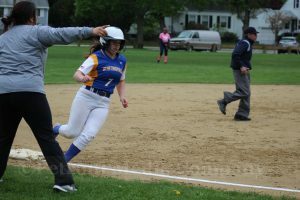 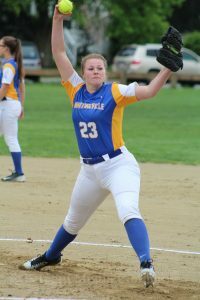 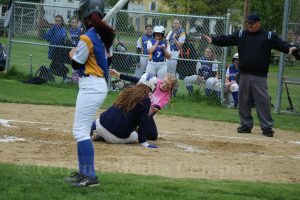 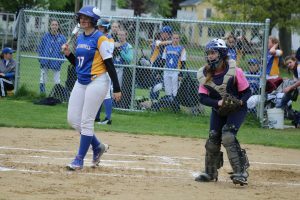 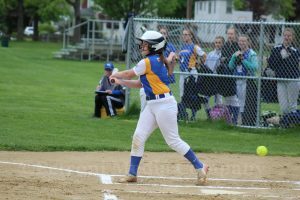 Whitinsville Christian batted through the cycle in the first inning, and never relinquished the lead. 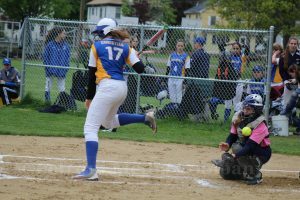 They won 14-0. 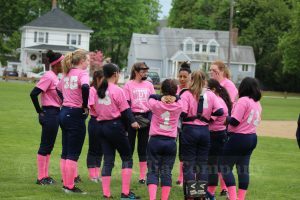 But yesterday, the game was more about winning. 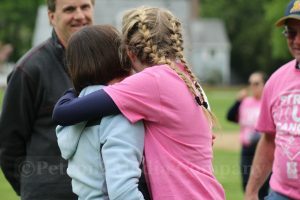 It was about supporting a teammate and her mom. 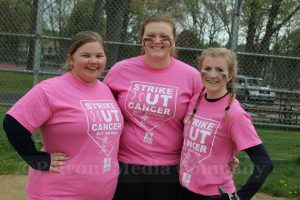 The other Mustang tri-captains this season are Claire Paulson and Sammi Hanson.